Eddy Street Vintage Market started on a whim! Meant to be open for one weekend.. ever...one and done. What happened was nothing short of miraculous. A snowball in the middle of summer. What transpired was an amazing event once per month that combines family, friends and a love of antiques, vintage and repurposed goods. 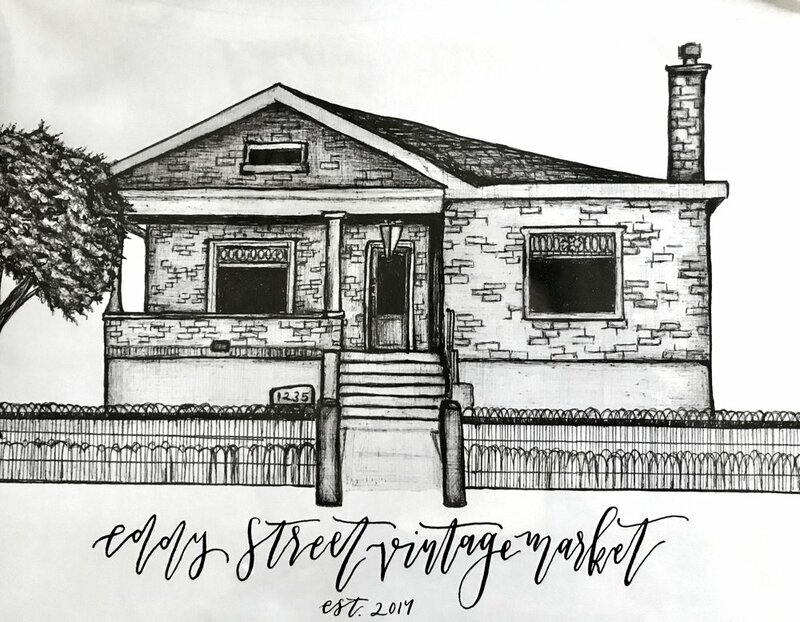 Generations of our family work to make the Eddy Street Vintage Market an unforgettable experience each time we open our doors. The beautiful Arts and Crafts styled building was built in 1916. Upon entering through the front door, you notice the drool-worthy details and craftsmanship of a by-gone era. Owned by the Fischer Family since 1980, 39 years of great memories have been made within these walls and continue to be made with each opening.